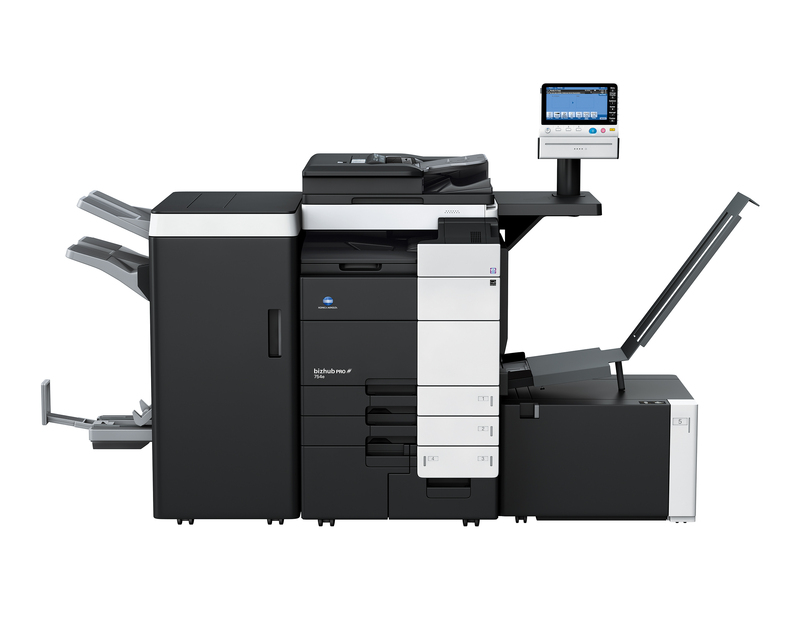 The Konica Minolta bizhub Pro C754e production printer is the ideal solution for CRD environments and provides an easy start in economic, high-quality colour, light production printing. You'll have spectacular speed up to 60 ppm in colour and 75 ppm in black and white print/copy output, simple touch-and-swipe operation. The standard IC-414 internal EFI Fiery controller perfectly complements the professional colour printing capabilities of the Pro C754e. You'll have colour quality to rival offset printers and all the advantages of digital production - plus scalable options and up to 6,650 sheet paper capacity for high-volume applications. Banner printing up to 47.25 inches for special print offering.